Sangria is the typical summer drink to enjoy on beautiful Spanish beaches or anywhere in the world. 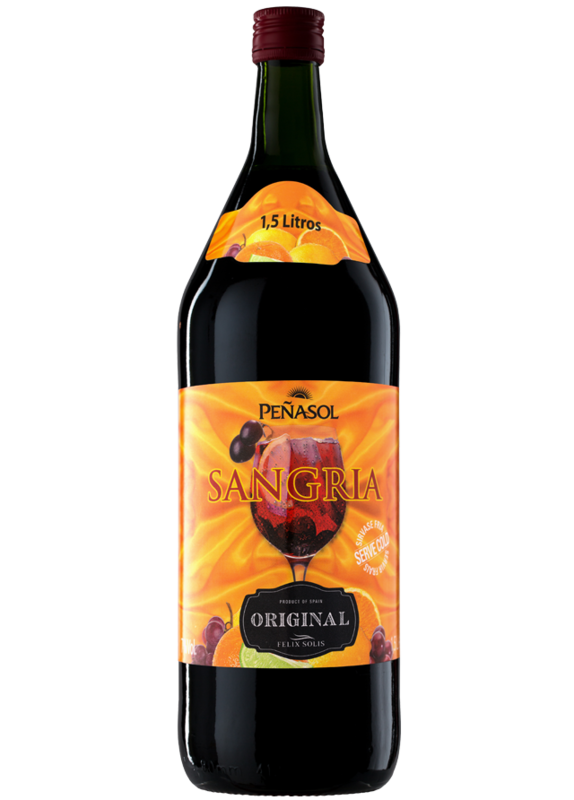 Classic sangria is a delicious drink with a blend of red wine and natural extracts. The area of Castilla-La Mancha, located in the central plateau of the Iberian Peninsula, is the world’s largest vineyard. Varietal wines, grape juice and sangrias are produced in this vast wine region. Airen and Tempranillo are the most typical grapes from this area. Cherry red color, very bright . Intense aromas of ripe red fruit. The notes of raspberry and orange suggest a fresh, sweet and fruity drink. It has a slightly sweet, friendly with a nice entry on the palate. A party drink that is perfect for sharing. Serve with paella, tapas or just olives and almonds. Chilled with ice cubes, slices or chunks of lemon, orange, strawberry or apple to give it a personal touch. It also combines to perfection with tonic water or lemonade. Before bottling, sangria is pasteurised to ensure maximum hygienic conditions and preserve its colour, aroma and flavours.